Started watching Korean SC leagues in the early 2000s and still going, I'm personally amazed. Back when replays were still something ahead of its time (as far as I know BW was the first engine able to replay a game). It´s funny to think the only way to have a game commentary outside Korea was to download Manifesto7´s mp3s. I still have the fan made video of this event somewhere on my PC. Nice event. For my part, I still have found memories of Nada winning vs Anytime in ShinHan2 (And also the previous final between Boxer and Anytime). I totally forgot about SO1 and Anytime beating Oov and Boxer. I think my favorite memory is still waking up in Acadia National Park at 5am in the morning on vacation to catch the SPL finals between SKT and KT where Violet opened against Canata. One of the happiest days of my life. No, Doom was, and even then someone might have done it before. Replays were invented as a debugging tool, to capture and replicate conditions that led to crashes and desyncs. While this makes sense, are you sure that was the only reason? There should have been replays in football games way before computers became mainstream. Computer games aren't football, but it's not uncommon for concepts to be reused. My bad, I was thinking about pvp RTS games from that time. why do you not belive it? the legend has alived! edit: btw I'm still waiting for someone to write an editorial on Reach. That's only thing I have against TL after all these years... No Reach editorials. Happy birthday starcraft.... nice dose of nostalgia watching those old videos. I started watching during the height of the Boxer vs Yellow rivalry I was fairly devastated at Yellow getting bunker rushed three times in a row. Heres some of my favourite videos and games from the past 20 years. 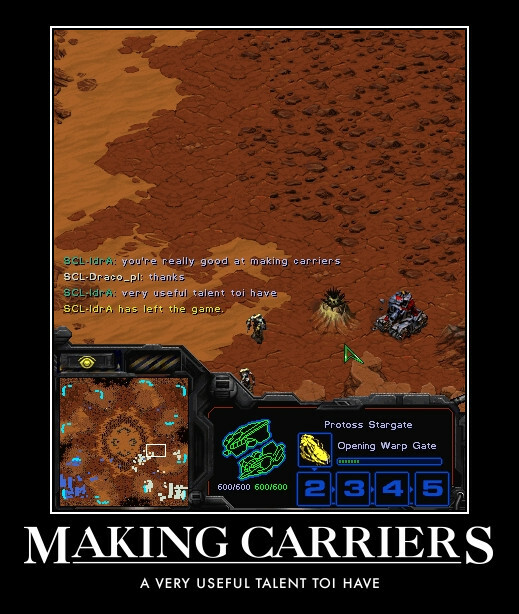 This was definitely a great one at the time, because he went on to win that OSL taking down Stork getting revenge for the first ever OSL finals I saw the 2008 Incruit OSL. All the matches in that final were amazing too, especially the pathfinder game. FlaSh vs FanTaSy in the BigFile MSL on Polaris Rhapsody. Absolutely fantastic game. Both fantastic TvTs from my personal favourite ERA of BW (although I only started watching in 2008. Another epic TvT between FanTaSy, but this time with HiyA! Those TvTs were epic. Her is another one between Flash and Leta featuring nukes! One of my all time favorite games. Fake fast expand on reverse LT. Loved it! If you want to have a break from PRO leagues I'd recommend to watch this epic match again between Chill and Combat-EX casted by good old (young at the time) Day9. That cast is still the most I've ever laughed while watching a stream. I still reference it from time to time. This was legendary, I had forgotten about it! I'm very confident. Korean Zerg strategies are ahead of foreign Zergs by about 1-2 years, and foreign ZvT also develops very slowly. I think TvZ is my strongest matchup. I predict I will go 6-1 or 5-2; there are a few maps that are very suited to early rushes, very suitable to his [F91’s] style, so I might lose two games. And what happens? Idra loses 2-5. The white hope of the modern day and age losing to some random zerg player from China. If you can't beat him how are you supposed to beat progamers? I mean seriously the only games you won were games on two maps, Colosseum and Destination, maps that you've been practicing on 13 hours a day in the CJ Pro-team house with Koreans. Of course those are locks but the other five? Why did you lose Idra? Well, luckily IdrA decided to tell us!